Super Hero kid needs a sidekick! 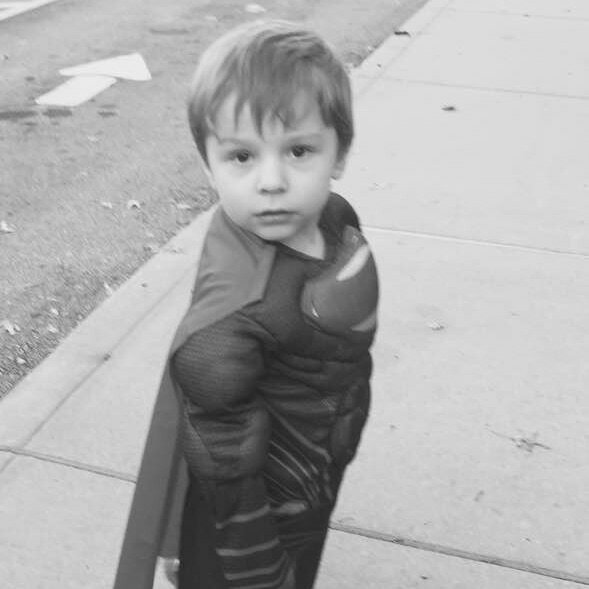 Help Jace get his super hero sidekick! ​Jace has always been our happy child. Big brown eyes and the cutest dimples, but was never able to get the whole talking thing. We bounced from doctor to doctor trying to figure out why at 2 and then 3 and then almost 4 why he wasn't talking. After the developmental clinic dance we received our diagnosis, Autism. Our son was diagnosed on the Autism spectrum with a global developmental delay including speech. He also has sensory processing disorder. Long story short, our son doesn't speak, he uses an IPAD to communicate and trips to malls, stores, movie theatres or anything public with large crowds or loud sounds we are unable to do. Jace is also an eloper! That's a fancy word for at any given moment he will take off in any direction. Needless to say, there is never a boring day! We are currently fostering for PAWS and have already seen changes. Our son has always had a connection with animals and we have seen him connect with our foster like nothing before. 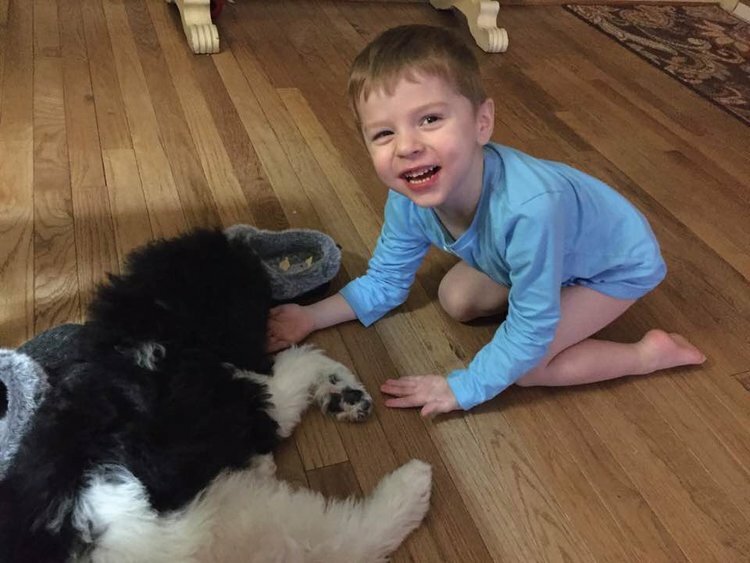 A service dog for our son would mean he would have that one on one connection with another being that he so desperately deserves. Any support you are able to help with would mean the world to not only Jace but our entire family.